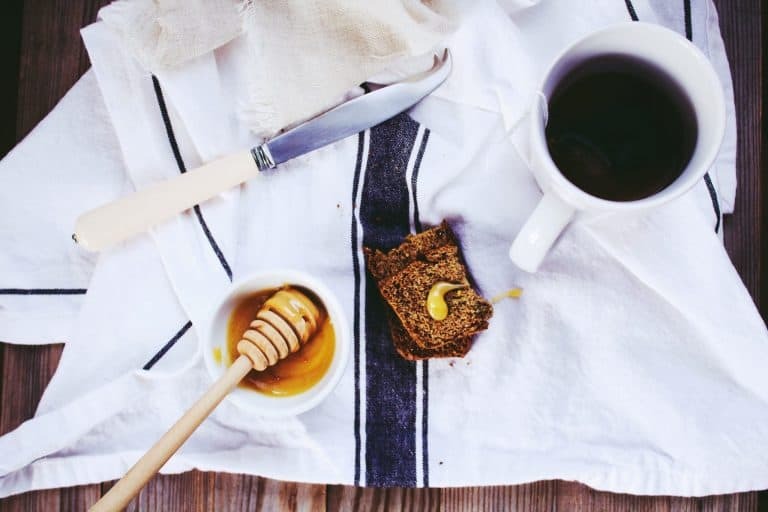 Tea is something that I drink every day and I love all different types, from minty herbals to energising greens and everything in between. I received a tea infuser kettle for Christmas a few years ago, and this opened my eyes to the wonders of higher quality loose leaf teas. Although tea bags are super convenient for stashing in your drawer and using at work, I much prefer a delicious loose leaf tea blend to enjoy at home. 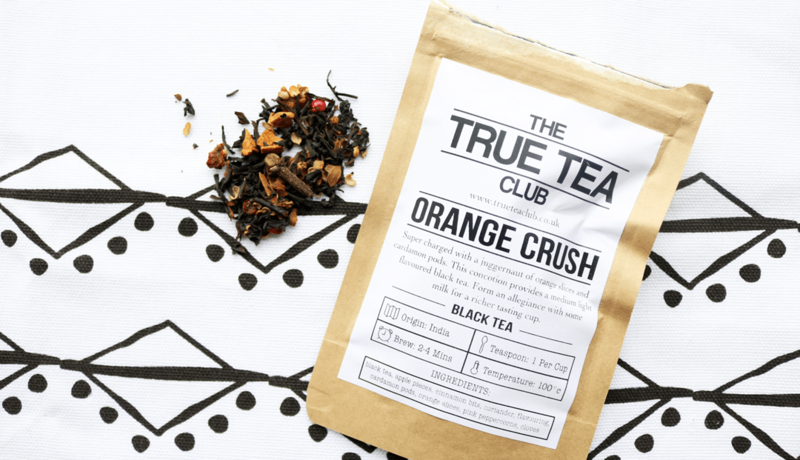 The True Tea Club is a monthly subscription box for people just like me, who love tea and appreciate the higher quality that you can get from a good loose leaf tea blend. They source teas from all over the world, and have compiled an impressive ‘tea library‘ which currently contains over 200 fresh loose leaf teas. 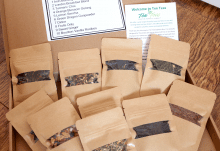 As a subscriber, you can purchase any of the teas from their online shop at a discounted price, as well as enjoying a monthly surprise selection of four gourmet teas in your subscription box. If you’re not keen on a certain type of tea, you can fill in a tea questionnaire and they will ensure that you won’t receive this type in your monthly box. 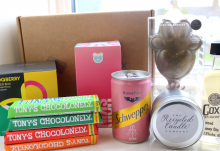 I was kindly sent their March box to try out, which comes in a slim cardboard box which fits easily through the letterbox, so you don’t have to be at home to receive it. 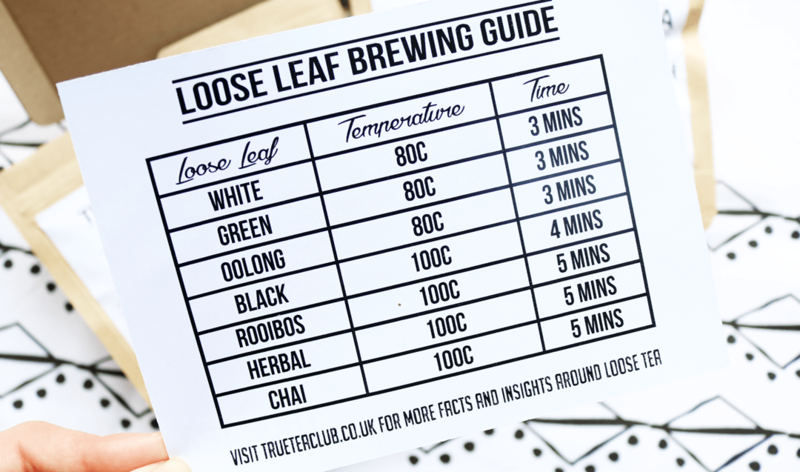 The teas were all carefully packaged with some cushioning, and on the top was a welcome card, as well as a handy brewing guide which you can see above. The True Tea Club also included some tea bags that you can use with the loose leaves that I thought was a really good idea for those who don’t own an infuser yet, or simply want the convenience of taking some of the teas to work. The fourth and final tea is my personal favourite and that’s the Strawberry Daydream Rooibos. I can drink Rooibos all day, every day and this one tasted oh-so-good. 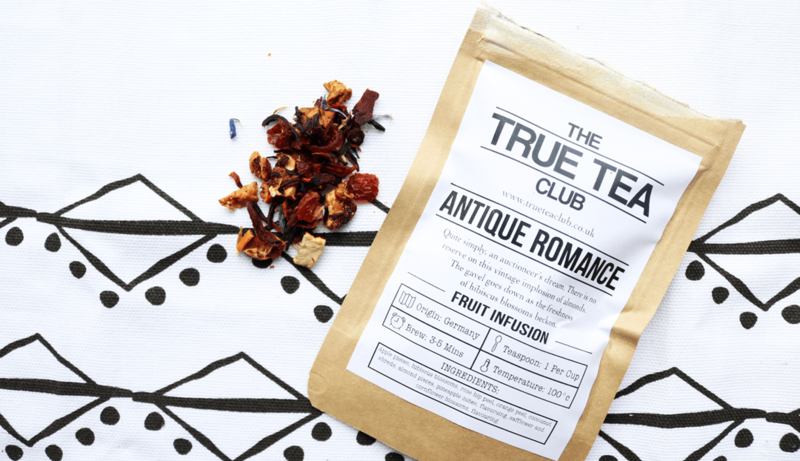 It features Rooibos sourced from South Africa and also contains Coconut Shreds, Freeze-dried strawberry pieces and flavouring. This is another tea that smells incredible when you open the bag, and tastes just as good when it’s brewed. 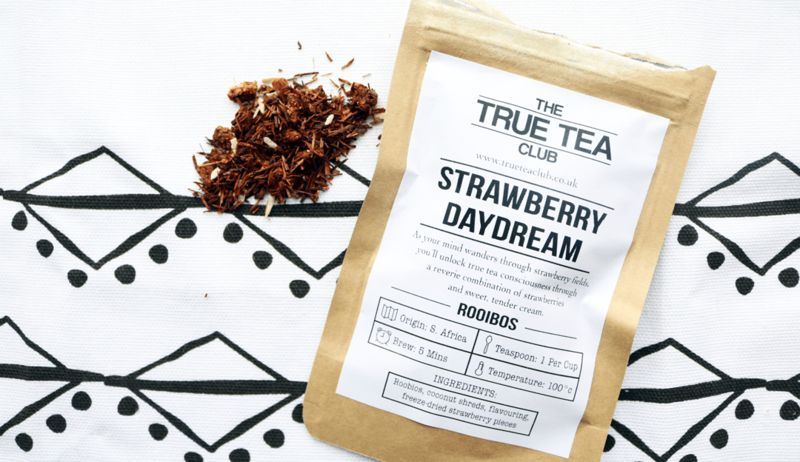 The strawberry and coconut elements create that classic ‘strawberries and cream’ flavour, and this combined with the Rooibos, makes for a truly delicious cup of tea that you can enjoy at any time of the day. 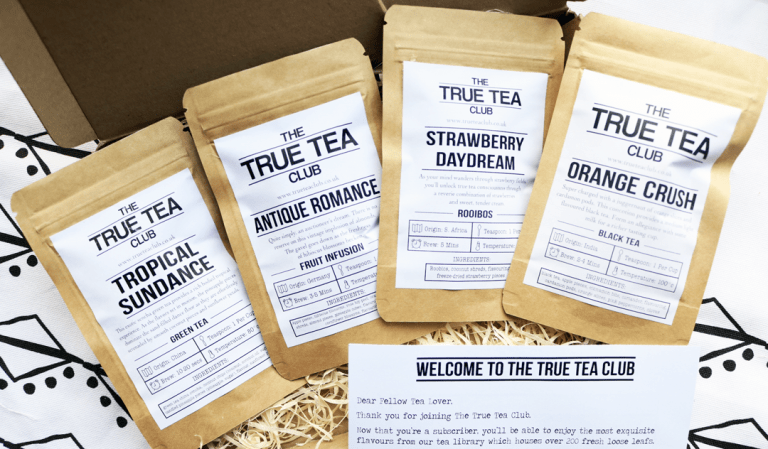 If you love high-quality loose leaf teas and want to try out new flavours and blends every month, The True Tea Club is the perfect subscription box for you. 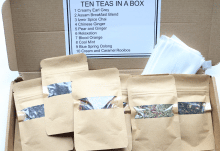 I really enjoyed all of the teas in March's box, especially the Strawberry Dream Rooibos! 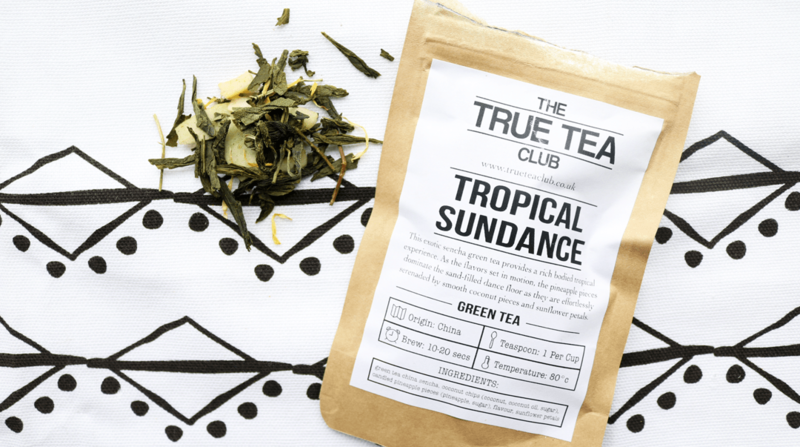 How would you rate True Tea Club ?